Strong tourism figures could help encourage investors to buy real estate in Portugal, with one expert noting that residential tourism in the country is set to grow. Hugo Nascimento, sun and sea product manager at the Algarve Promotion Bureau, explained that the region has much to offer holidaymakers, including golf courses, warm weather and a new racing track. Property investors may therefore be keen to seek out assets in close proximity to these amenities. 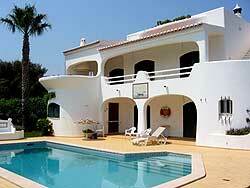 Mr Nascimento commented: "A lot of people from Britain and Ireland are buying property overseas, mainly in Portugal. So I think it's also a good deal to buy houses in Portugal right now." The September Royal Institution of Chartered Surveyors (Rics)/Ci Portuguese Housing Market Survey revealed that the Algarve is faring better than the rest of the country, but that confidence in the sector remains in negative territory. However, Rics senior economist Josh Miller noted that, unlike in Spain, there is not a large oversupply of new properties weighing the market down, which should result in a quicker recovery once conditions in the real estate sector improve.